Product prices and availability are accurate as of 2019-04-19 06:47:43 EDT and are subject to change. Any price and availability information displayed on http://www.amazon.com/ at the time of purchase will apply to the purchase of this product. Create the perfect display for your flat screen TV and electronics with the Windsor Infrared Electric Fireplace Media Console. Finished in a beautiful Antique Cherry Laminate, the mantel looks rich and elegant. With a front-flip center shelf and 2 side cabinets there is more than enough room to house your electronics, accessories and DVD collection. Built from durable materials the Windsor can hold flat screen televisions up to 150 pounds in weight and 50\" in size. The Windsor is a convertible unit meaning that is comes with an extra corner piece which allows for both wall and corner applications. 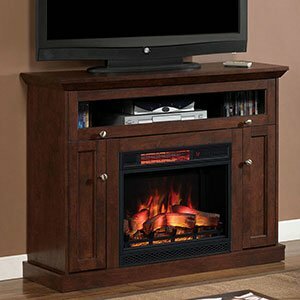 So depending on your room design or personal preference, you'll have a fireplace that will meet your needs. Just make up your mind and plug it in! 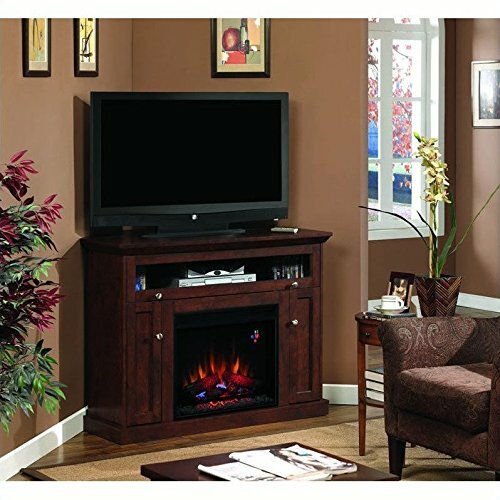 You're ready to start enjoying all the features of this beautiful electric fireplace. Struggling to stay warm during the winter will be a thing of the past with the Windsor. The powerful infrared heater easily supplies supplemental warmth for rooms up to 1,000 Sq. Ft. and heats more effectively and efficiently than traditional heaters. 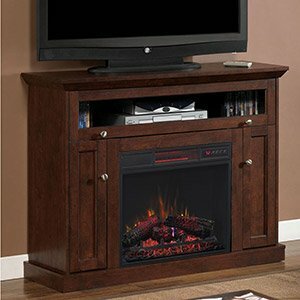 Not only will it feel like a real fire is burning in your room, but it will look like it as well. 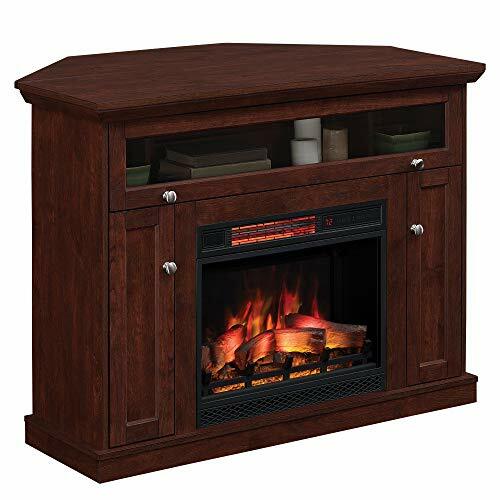 The beautiful firebox features LED lighting and a glowing log set for ultimate realism.